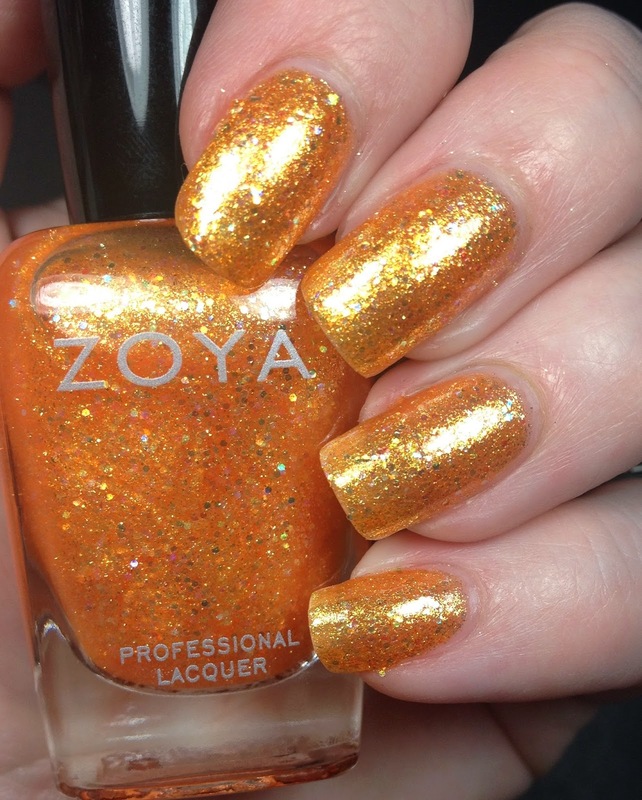 I am back with the other half of the most recent release from Zoya. This half is called the Bubbly collection. This is more of a sheer collection. They are all shimmery and glittery. I liked them a lot. 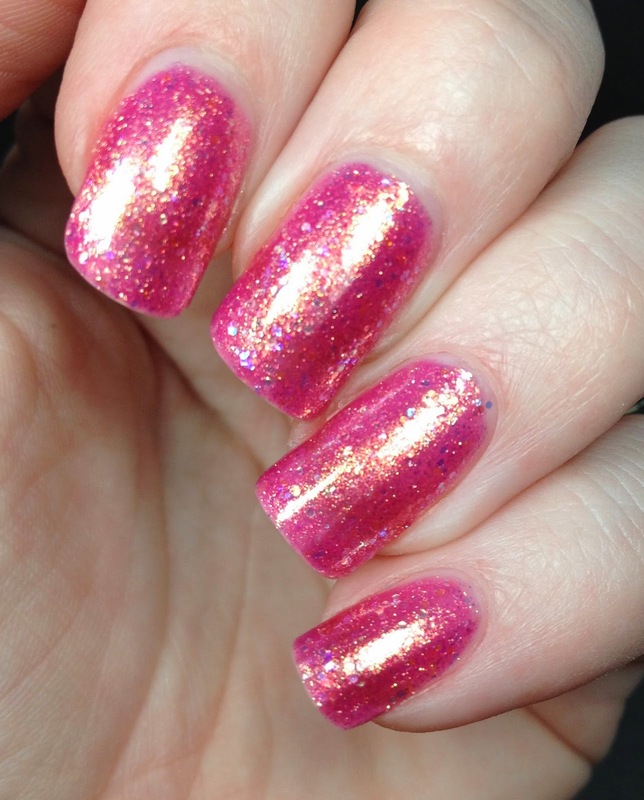 Think of them as jelly polishes loaded with glitter and shimmer. There are six polishes in total and I did not layer these over anything. I used a base of Barielle Hydrating Ridge Filler and I topped all of them with Glisten and Glow HK Girl topcoat. First up is Harper (I love that name!!! 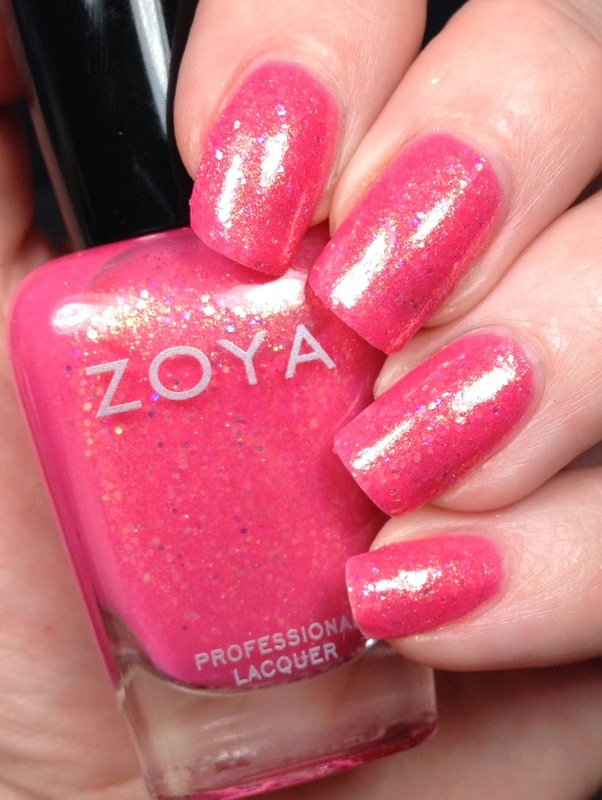 ), Zoya describes this as "a cotton candy pink with a spun gold shimmer". I don't think that this is light enough to be cotton candy pink. I would think that cotton candy would be deeper. Raspberry would be a good description! What is shown below is three coats. This is Muse, a beautiful blue that has such depth to it. 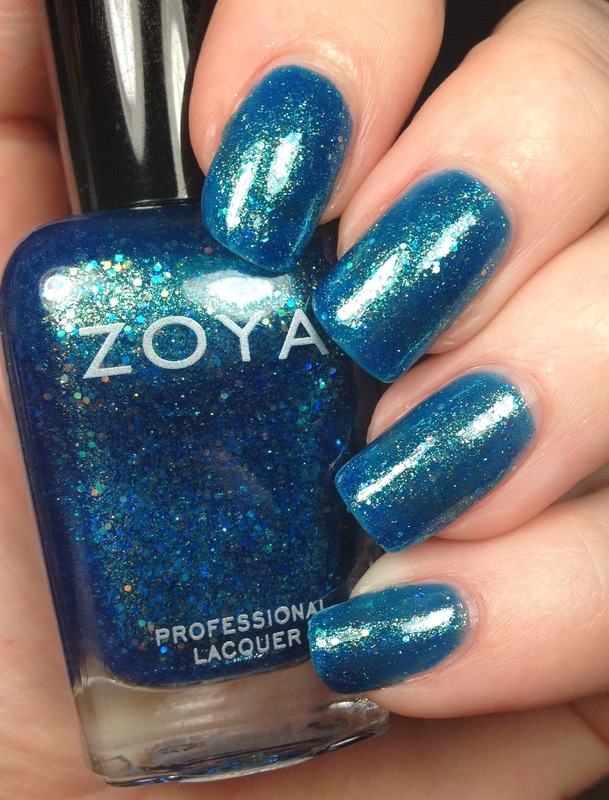 Zoya describes this as "a blue raspberry holographic fizz with a subtle vein of gold". Well, I don't know about all that, but it is blue. As you can see there awesome flashes of green in there too, as well as gold. It does look like a piece of blue raspberry candy though. Three coats here as well! Binx is up next! This is a deeper pink, almost a magenta compared to Harper. 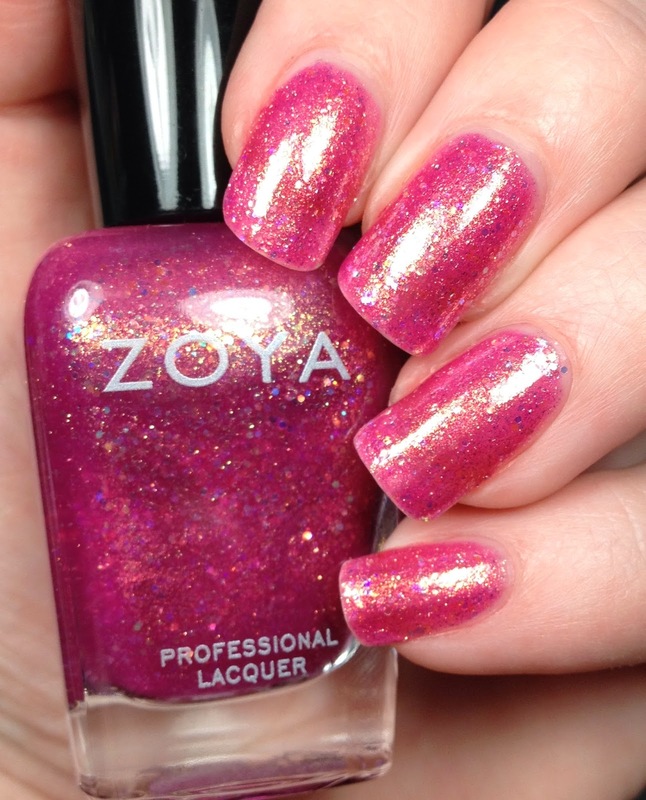 Zoya describes this as "a spicy orchid purple dappled with gold metallic and holo sparkles". I prefer this one over Harper because it's so much deeper. Plus just look at the gold! I actually only needed two coats for the pictures below. Jesy! 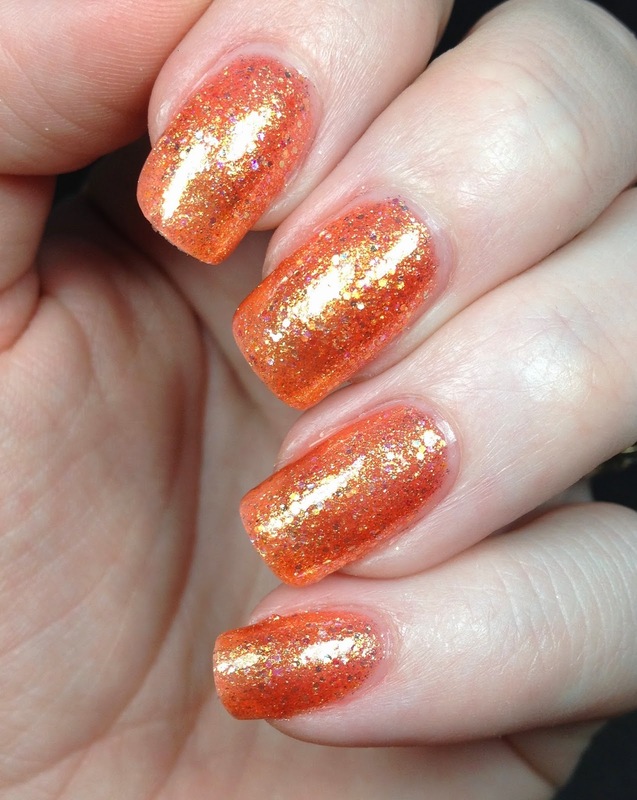 This is Jesy, I know I usually say I don't like orange but they have been growing on me. This is another orange that is just fantastic. 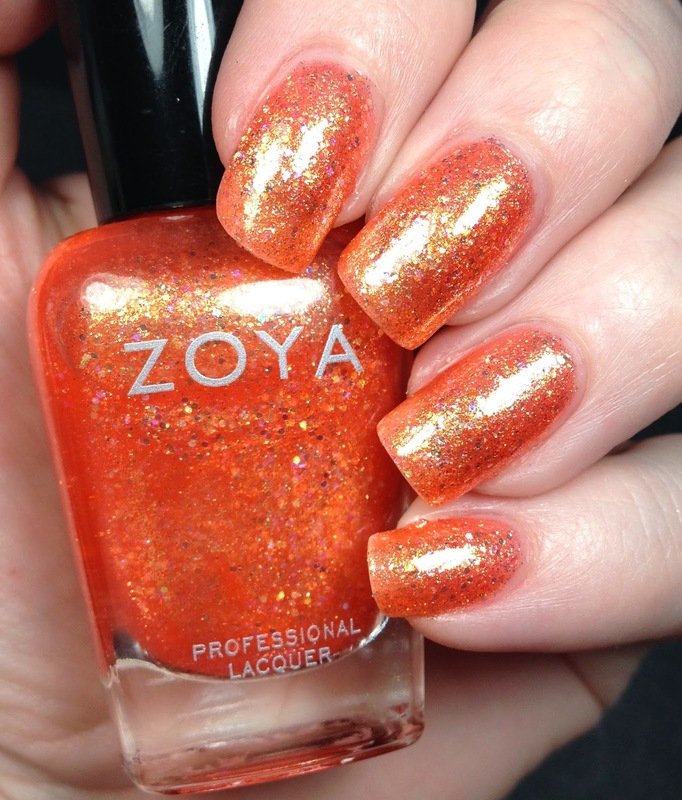 Zoya describes this as a "fiery coral orange metallic holo". To me there is no coral in this, it's just straight up orange. With a lot of gold flash in it. The contrast between the orange and gold is amazing. I used three coats of Jesy here. This is Stassi. 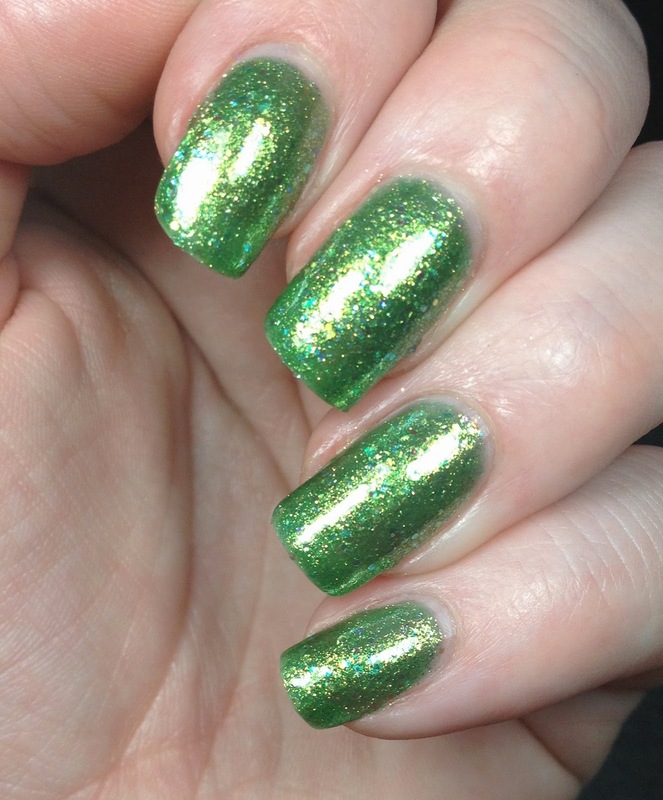 This is a bold emerald green with some severe gold shimmer to it. It is a match made in heaven. 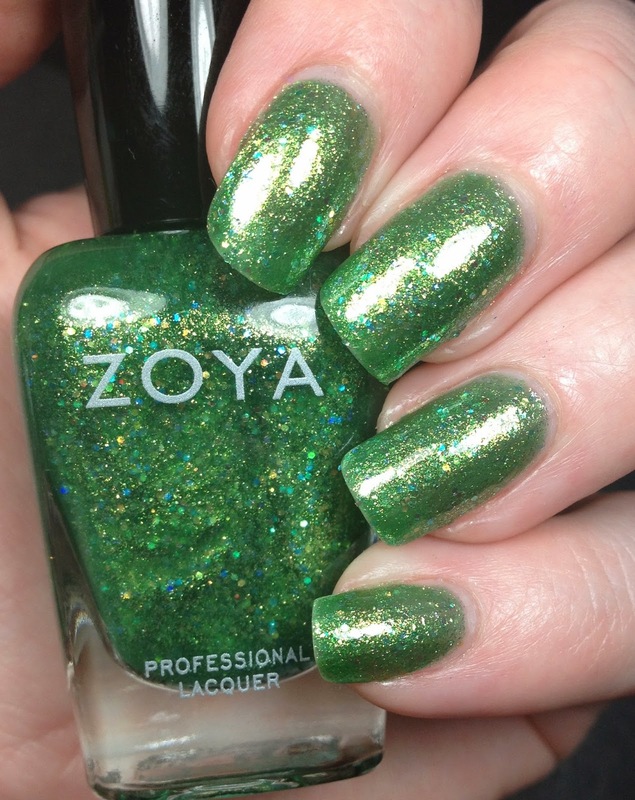 Zoya describes this as "a brilliant citron green with a gold metallic glaze and holographic finish". This is also three coats for what I have shown. Last up is Alma. 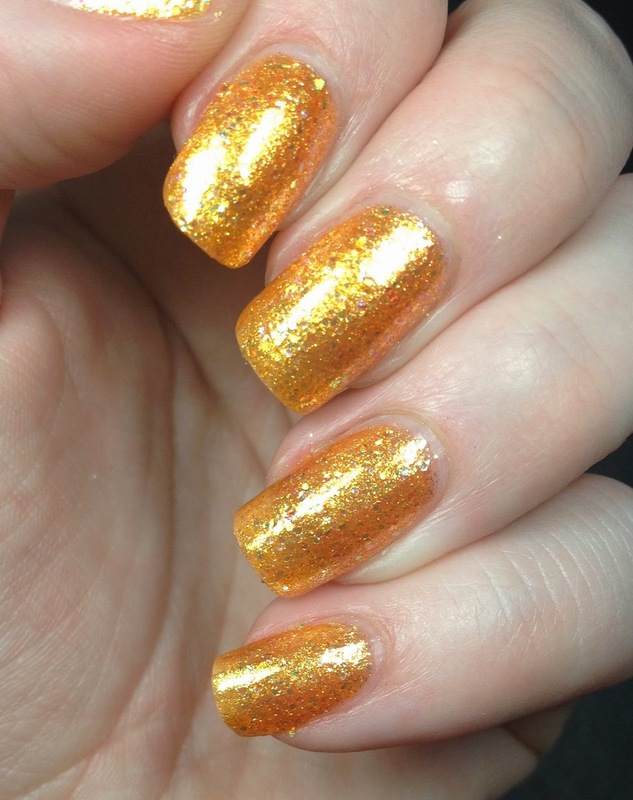 This one is very hard to describe, it's like halfway between yellow and orange. Light Orange? 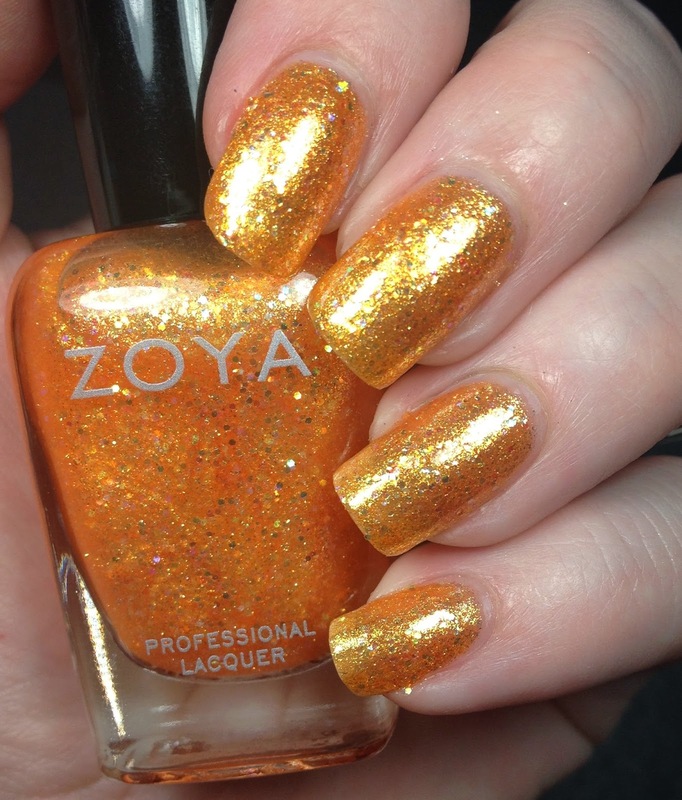 Zoya describes it as " a warm golden peach metallic". 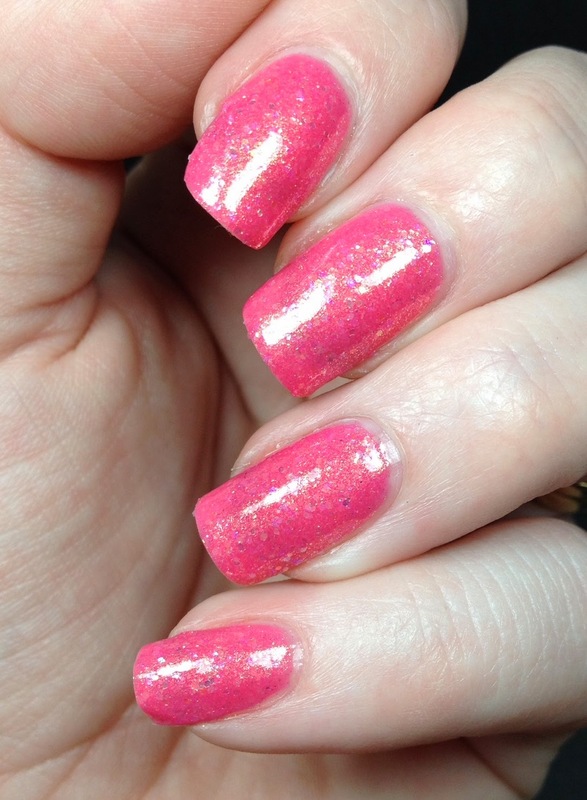 Three coats of Alma as well for this mani. I really liked this half of the collection. Well I liked both halves. Just all around two great sets. I can't wait to rock these some more in the summer. They are going to be perfect. Especially with the golden sheen on these. I had zero issues with the application of these. The amount of coats that you will need to use depends on the opacity that you personally desire. I wanted them to be completely opaque, so I used more. 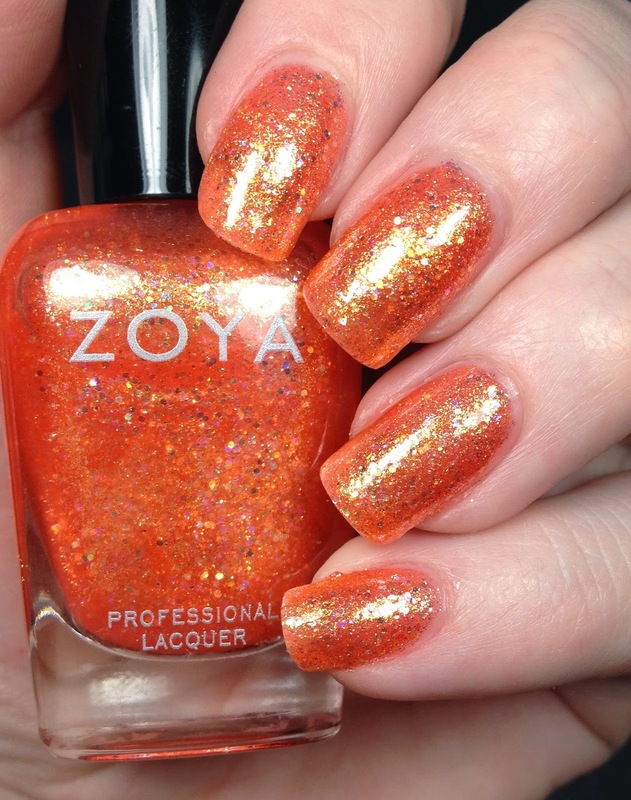 Also, please keep in mind that these are not in fact holographic polishes no matter what the description from Zoya reads. 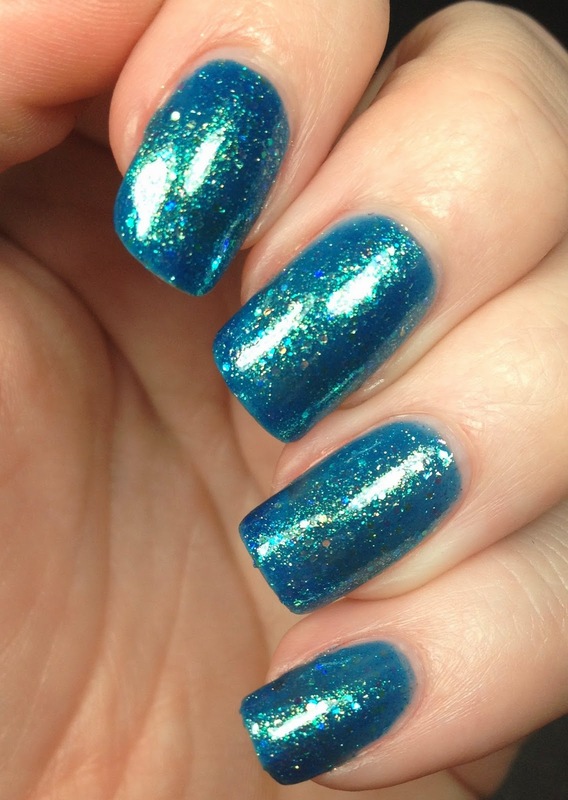 There is holographic glitter in there, but this is not an actual holographic polish. Harper is my favorite! 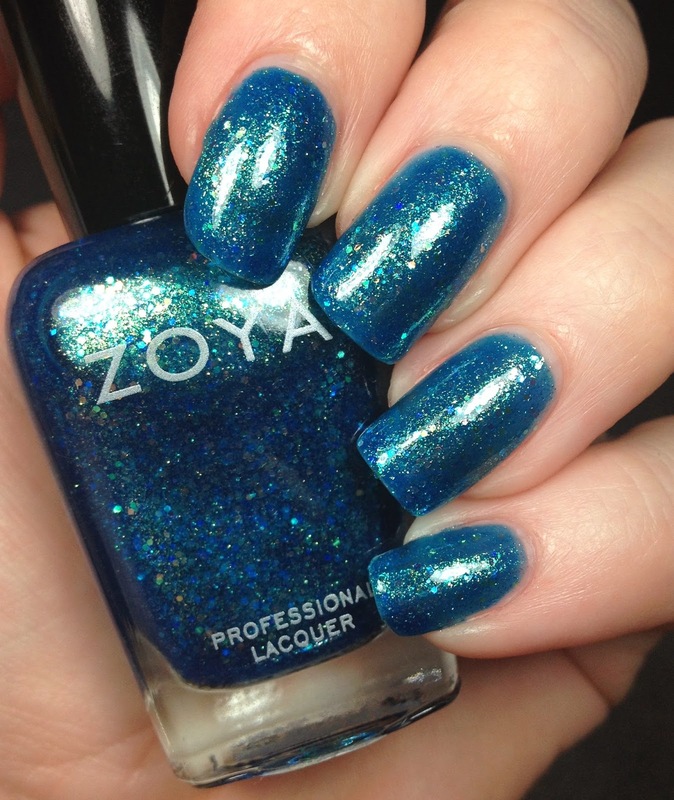 I love the name too but the polish is so pretty. I like this collection. There so pretty and sparkly.